What a great day on Thurday for Mimi's BlogBlast For Peace. The good news is there were more participants then ever. The bad new (not really) is that it is almost impossible to see all the entries...well unless you could spent 3-4 days traveling the internet...and unfortunately, I did not have that time. The last slide announces the trip and I inserted mom and daughter hugging in front of the whole cast of Disney characters in front of the magic castle. Remember, this is something I offer if you have a special event and want to give a DVD to the honoree. Marshall Lawrence mixes many styles of blues to his music and his slashing guitar, stinging, lightning-fast slide, and pleading, mournful moan added to his doctorate in psychology and you can see why he is given the nickname "The Doctor of Blues." His music can be described as a fierce, energetic blend of blues, rock, soul, and funk. Together he calls it "acid blues." Another way to describe his technique is a tribute to traditional blues, but mixed with an energetic style. 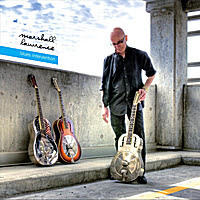 We will talk to Marshall about his journey to this point and his latest release BLUES INTERVENTION. In January 2010, Blues Underground Network awarded their album ON TOP OF THE HEAP “2009 Best USA Blues Album”, “2009 Best Overall Blues Debut Album” and ranked them #2 on the Top 25 Best Worldwide Blues Albums of 2009. In April of 2010, Real Blues Magazine placed their 2009 debut album at the #1 spot on their Top 100 “Must Purchase” Blues chart. 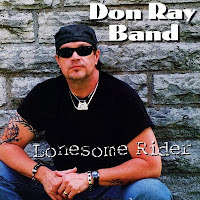 Their newest release LONESOME RIDER was released this past August and it is a worthy follow-up to their debut with a collection of country-style blues. We will discuss the album and the direction the band is headed. So tune in on Monday evening or remember, you can always listen anytime after the show ends from the show's website Music On The Couch for additional artist information, and show recaps. You can download to your iTunes and even subscribe to the show for weekly automatic downloads, from my iTunes page HERE. Yeah, I know, in the archives. I'll see what I can do. I shall be there live this week. Well, at least semi-live. I guess the days are gone when we can get to every Peace blogger, and that's a good thing. Looking for who retails a lot of great shoes by 7 For All Mankind, Skechers Work, Brighton, K1X, and more. There is a huge selection of Heels, Booties, Mid-Calf Boots, Classic Loafers, Comfort Shoes, Casual Shoes, Fashion Sneakers, Designer Shoes, Slip-on Shoes, and more. No matter where you are or what shoe you are looking for, you can find it via Kixcome. Kixcome.com will deliver to theoretically any address in the world. Understand that there are limits on some products|, and some products has the ability to not be delivered to international destinations. Shoppers will be contacted upon your order if this does occur. If you place an order, Kixcome UK will estimate shipping dates for you based on the availability of your shoes and the delivery options you choose during your order. Depending on the delivery courier you select, shipping date estimates may appear on the shipping information page. If it happens that any items must be returned. It is a synch to have that done. Just visit kixcome UK and see 'Returns'. I downloaded the Don Ray band album last night. Great stuff. I also added a Reba Russell album to my collection. Keep the great blues coming.